Does your bookshelf look like an atomic bomb struck? Here are a few easy steps to organize those books and keep it that way. Take stock of how many books you have and how much shelf space you have. If you have more books than space, weed through them and keep only the ones you Love. Alphabetize the books in each category by author or title, or arrange by size. Label sections of your bookshelf. Clear plastic label holders, available from library supply companies, sit under the books on a shelf and can be easily moved or removed. Print a description for each section and then slide it into the holder. Set up small libraries in different rooms of your home. For example, shelve cookbooks in a kitchen cabinet or pantry. Put a short bookshelf next to the bed as a nightstand. 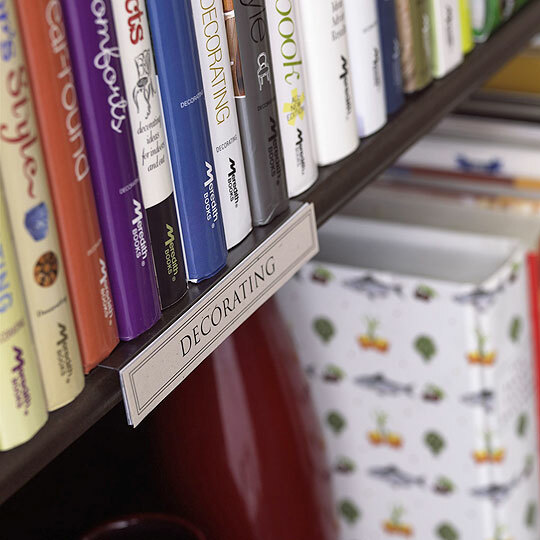 TIP: Create small labels for your categories by using card stock. Type the name onto card stock, print, and fold so that part of the label can be tucked under a few books.